This dip is really the best stuff on the planet. I can’t even tell you how much we all loved it around here! 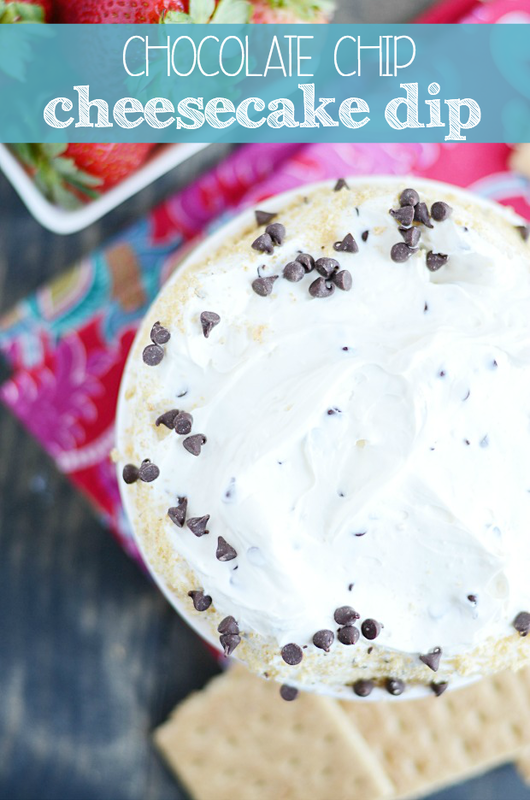 As much as I love cheesecake, I love chocolate chip cheesecake even more. And it’s the same with this dip. 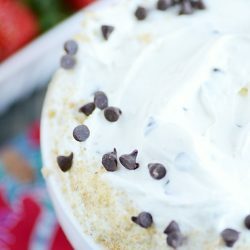 I loved this cheesecake dip. A lot. 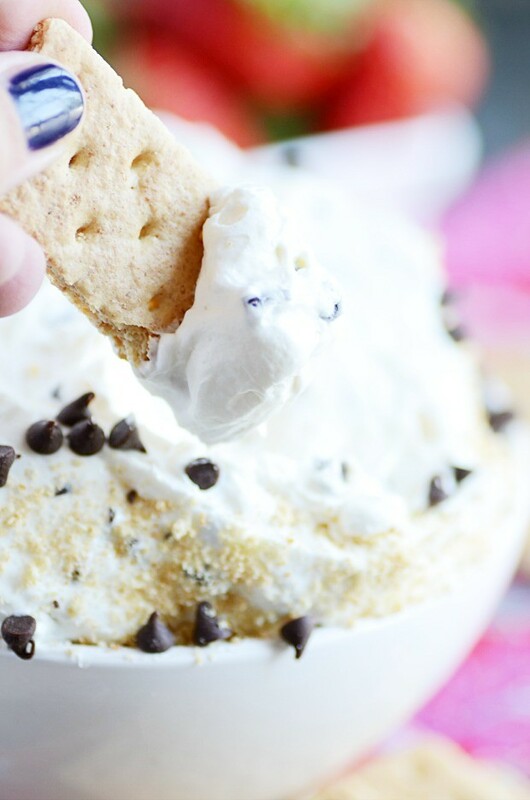 But there’s something about adding those little mini chocolate chips that just takes it it a whole new level! 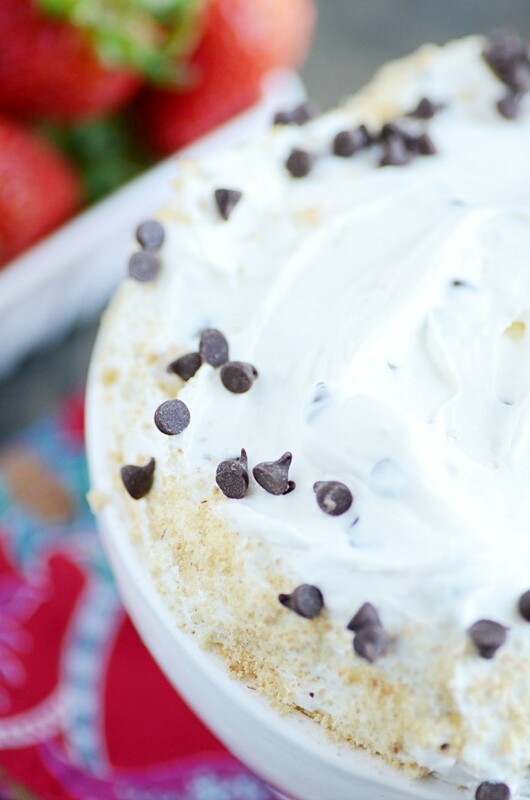 This dip is AWESOME for summer potlucks and BBQs, baby and bridal showers, and any other dessert-toting occasion you can come up with. And bring the recipe with you-- people are going to be asking, I promise! Using an electric mixer to beat together the cream cheese and sugar until smooth. Vigorously mix in the marshmallow cream, vanilla, and lemon juice, and beat until smooth. Scrape down the sides of the bowl a couple of times until you're sure everything is mixed well. Mix in the Cool Whip until fully incorporated, scraping the sides of the bowl as needed. Fold in the chocolate chips. Transfer mixture to a serving bowl and top with graham cracker crumbs if desired. Serve with fruit, graham crackers, cookies, pretzels, etc. Store covered in the refrigerator for up to 4 days. Can be made ahead of time and chilled, but does not freeze well.